YYou won't get a better sense of South African culture, history and the amazing people that call this land home than in its bustling cities. From Johannesburg, the City of Gold, to Cape Town, the Mother City, explore South Africa's metropolitan heritage. 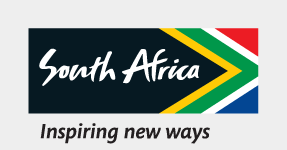 Discover Cape Town, Durban, Johannesburg, Bloemfontein, Polokwane, Port Elizabeth, Kimberley, and Mbombela. JJohannesburg, the City of Gold, has so much to offer with wonderful restaurants, relaxed sidewalk cafes, laughter-filled shebeens, glitzy shopping malls, tranquil parks, unique emotive museums and monuments, thrilling casinos, busy townships, stunning galleries, funky nightclubs, and more. CCape Town ranks among the most beautiful cities in the world. With its larger-than-life mountain overlooking the City Bowl, harbour, white beaches and Robben Island beyond, this is any tourist's playground. Two World Heritage Sites, the sprawling Winelands, untouched nature reserves, beautiful botanic gardens and a buzzing waterfront are just the start of your adventure. KKnown as the “Jacaranda City”, for all the purple blossom-bedecked trees, Pretoria is a lovely, quiet city. It has a long, involved and fascinating history. Here you will find significant old buildings and fascinating museums. PPolokwane is the capital city of Limpopo, and has a vibrant mix of people and interesting culture. With great restaurants, art galleries, museums, jazz clubs and shopping centres, it is considered the heartbeat of Limpopo. MMbombela, the capital of the Mpumalanga province, is a vibrant, sub-tropical city that combines a rich history surrounded by untouched wildlife and plenty of adrenaline-fueled adventure.